Do you like cartoons? Do you like wrestling? Do you like timeless vide game, movie and pop culture references? 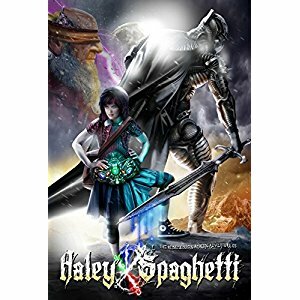 Then let me tell, you The Ridiculously Amazing Adventure of Haley Spaghetti is the book for you. There are moments in this book where you’re holding your stomach in laughter, and moments where you can’t help but face palm. But then again, that’s all part of the fun of this nostalgia-inducing doozy of an adventure. So, first things first, Haley Spaghetti is about the titular character, ten year old Haley, and her quest to become the next Kahdohvich, which is basically the protector of the five worlds of Penchovia and find her father, who is the current Kahdohvich who has been missing for the past millennium. Quite the premise eh? Don’t worry, there’s more! The training she undergoes is one of the most unique approaches to training I’ve ever seen. I mean, she trains inside the mind of a deadly assassin. The way things go down during this training is mind-bending, confusing, awesome and memorable all at once. I can honestly count on one hand where things weren’t entertaining in this book. Now, as much as I enjoyed the unique approach Krerowicz had (I mean breaking the fourth wall and speaking to the readers? Scratched an itch I didn’t know I even had), there were times where this took me out of an otherwise engaging story. There were moments where we jump inside the head of one character only to do the same to a different character in the next few sentences. That confused the heck out of me quite a few times, and lessened my immersion and enjoyment. There are few things I hate more than being confused as to who’s POV I’m supposed to be experiencing something from. Also the length of the chapters were crazy long, and I know this is after Krerowicz broke them up; I’m a fan of big novels but breathers are important too. You can tell this book is supposed to geared toward kids, but a lot of the references are clearly for an older audience, and there are things I believe will go right over the head of a younger reader. Though, even with everything Haley goes through and learns (which is the biggest theme throughout the story, how integral learning is I mean), her behavior reminds you that she is still a ten year old kid, no matter how much time she’s spent training, sharpening her mind, body and skills. Still, even with the negatives I’ve pointed out, I would still recommend this story to anyone looking for a fun, entertaining story about a kid training to become the Avatar…I mean the Kahdohvich. A caveat though, the ending leaves a lot to be desired. 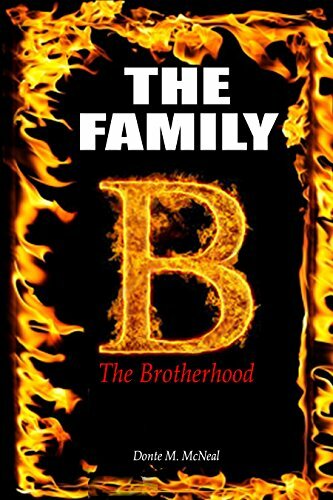 Clearly sets up a sequel, while not really delivering a satisfying conclusion to the story that was just read.